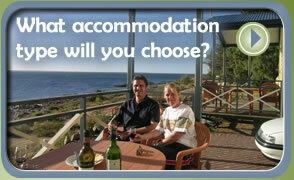 The Gulfhaven Caravan Park is located right on the magnificent beachfront at Port Victoria in South Australia. The peaceful seaside town with its temperate climate, is a popular tourist destination, with many activities and attractions. The attractive Park offers an abundance of accommodation choices from powered sites through to budget and upmarket de-luxe cabins, some with total foreshore views and access. The friendly and personal service will ensure that your stay at the Gulfhaven Caravan Park is an enjoyable experience.